This post was sponsored by the Role Mommy Writer's Network. I have a hard time dealing with portion control and tend to always over eat. This often leaves me feeling bloated and lazy. Not a good thing when you have 4 kids and a busy schedule. I don't have time to sit around after eating like I know I shouldn't. Too many carbs are often the source of my bloating. Eating a carb controlled diet is healthier for your body. It's better for wight loss since you eat a nutrient sense food instead of too many carbs. Frozen Foodie Meal Kit ($69.99) This kit is tailored towards people who don't have time to cook or don't like spending time in the kitchen. It features Atkins Frozen Meals for breakfast lunch and dinner. Evening Chef Meal Kit ($89.99) This is the kit I chose. I like to make my own dinners but don't often have the time or patience to deal with breakfast or lunch. This comes with Atkins Frozen Meals, Snack Bars and Shakes as well as a recipe and shopping list for low carb dinners. Easy Peasy Meal Kit ($97.99) This kit contains all meals while you make your own snacks and sides. Also comes wit Frozen Meals, Meal Bars and Shakes for breakfast,lunch and dinners. Instead of just having coffee for breakfast I can toss in one of the delicious breakfast options and even eat while on the go. 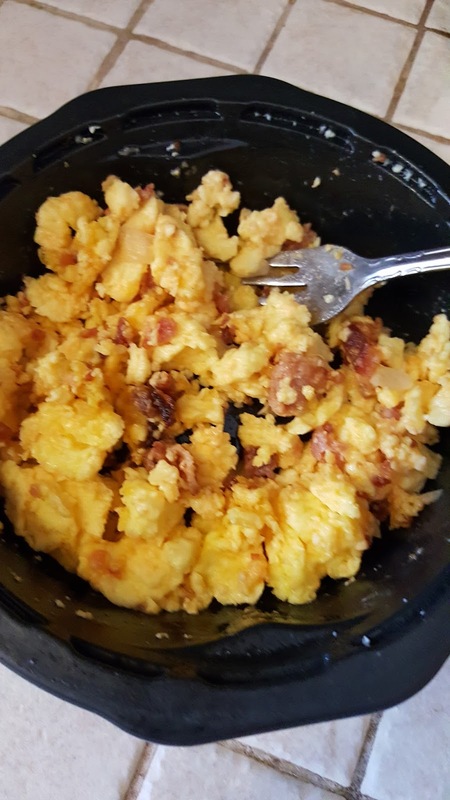 The bacon scramble is really good and fills me up for a while. I have to admit I was shocked by how tasty this was. Even my picky husband liked it. I love that the meal kits allow for busy moms like myself to have everything I need right at my finger tips and delivered to my door! 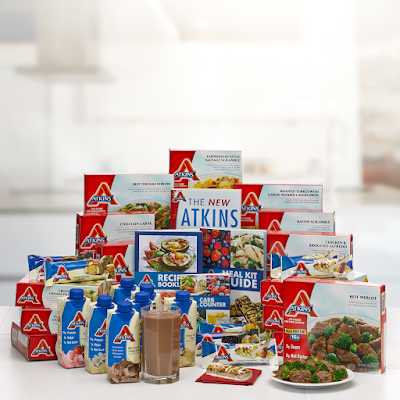 The Atkins Meal Kits cover a weeks worth of food and include all of the tools you need to get started. 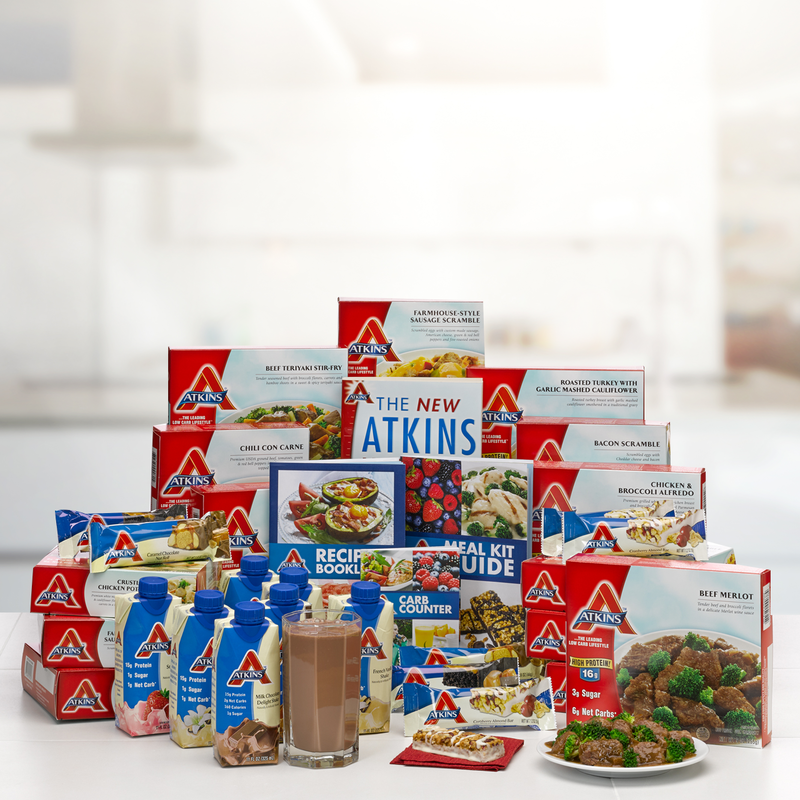 All of the plans come with the Atkins Meal Kit Guide, The New Atkins Made Easy book, the Atkins Carb Counter and a Recipe Booklet. 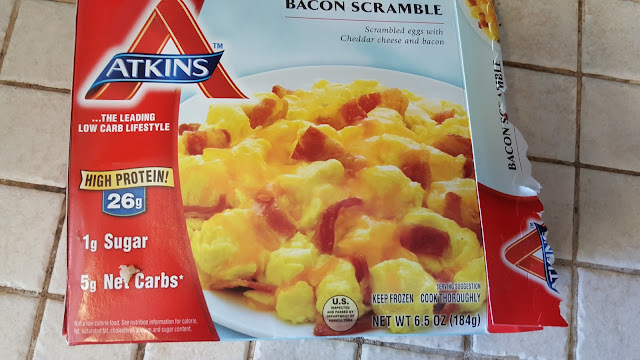 Not quite sure about the Atkins Meal Kits? Until September 30 you can get free shipping and 5% off order with the promotion code NEWKIT5. In the next few weeks, I am going to show you a little more about the Atkins Meal Kits and you can see how well I did while eating them!